Fall is my favorite season. What better way to celebrate but to have a giveaway. I have teamed up with some amazing bloggers to give you a great prize. I love the crisp, cold air, and all the pumpkins. I love pumpkin spice coffee. 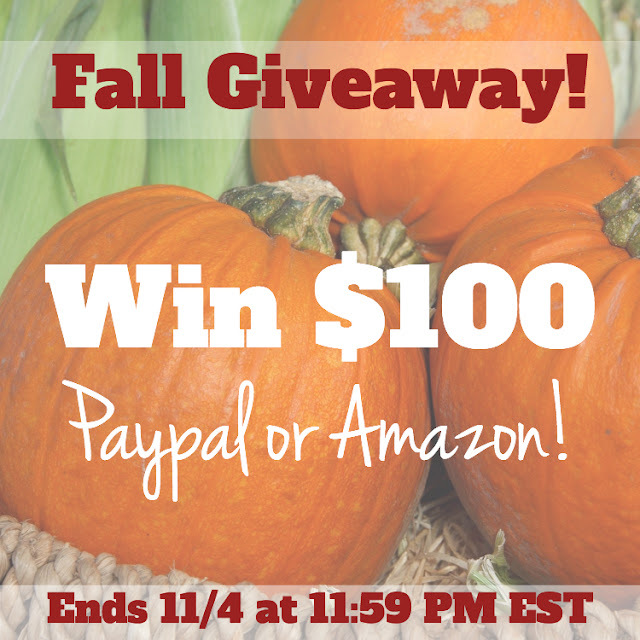 The winner has a choice of $100 towards Amazon or cash paypal prize. What can you do with this money? Buy a load of pumpkins. Maybe you want lots of left over candy. Home decor for the holidays.